Was that the best game you ever saw? It’s up there for me. Notre Dame challenged Kentucky throughout the entire game. It had all of the components of the perfect college basketball game. It had freshmen. Kentucky played portions with a team full of them. Bonzie Colston pitched great relief innings for the Irish off the bench. Pat Connaughton may go on to have a solid pro baseball career, but I’ll remember him for the two handed dunk to go up two possessions with fourteen minutes left to play. The Irish 5-0 run felt like 15-0. Yes, there were runs. But not many. The game rarely left the comfort zone of a one or two possession game. Six was the largest lead. It had seniors. 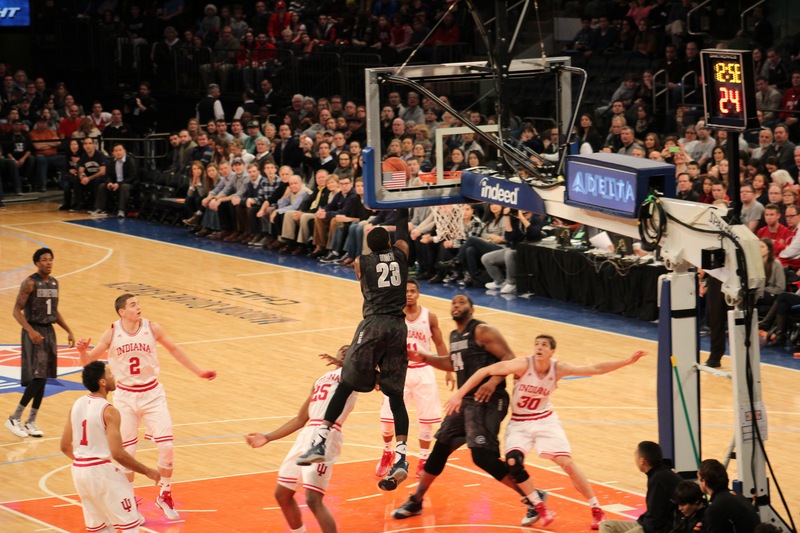 23-year-old Jerian Grant’s father Harvey looked on proudly from the sidelines. Jerian had nothing to hang his head about as his air-ball sealed the loss with no time remaining. The game had NBA pros. Not only are guys like Cauley-Stein, Towns and Lyles locks for Kentucky, but a star was born nationally for Notre Dame. I wouldn’t be surprised to see Zach Auguste play in the league someday. He finished with 20 points, 9 rebounds, but showed top tier athleticism when throwing down some missed shots for dunks. It had story-lines; real-life story-lines, as all players and coaches provide. We all know about how much class Mike Brey carried himself with in paying tribute to his late mother with this magical run. If you didn’t know, Betty Brey passed away as the tournament began. She was 84 years old and a former olympic swimmer. Watching this game felt like watching the desperate blows exchanged between heavyweight fighters. The last time I felt this way watching a college hoops game was in 2010 when Butler outlasted K-State before its national title game run. It had: elation. Kentucky is the team that “forgot” to cut down the nets after capping its undefeated season with an SEC crown. That’s a direct quote from Coach Calipari during the selection show. His team was so anxious to move forward to the bracket, it got onto the bus, plane, etc. without cutting the nets. However, that was not the case in Cleveland. Carl Anthony-Towns couldn’t even answer the post-game question about preparing for Wisconsin, because his mind was still processing that amazing win. Players hugged, danced, raced up the ladder and took selflies at the top. This team savored the moment. It was great to watch. The championship games of 1998 (UCONN, Duke) and 2005 (UNC Illinois) maybe the best games I’ve ever witnessed when it comes to the highest stakes of college basketball. In most recent memory, Arizona Wisconsin 2014 was the next-best contest. And we were served to a rematch also on Saturday night, but it was not as competitive. I cannot wait to see Kentucky Wisconsin and, then, hopefully, Kentucky Duke. Here again is my #Eyetestlopedia trimmed down to only Sweet 16 teams. I left my thoughts from before the tournament and made a quick addition to each team after the first three rounds of observation. This time has a closing window to win a championship before McConnell graduates and the rest of the starting lineup goes pro. Side note: I think outgoing K-State scorer Marcus Foster should join the Wildcats in 2017. Okafor is running the court well. I’ll be interested to see if he can against Utah due to the Running Utes’ suspect of transition defense. Cook’s shot selection has been questionable at times, especially deep, early shot clock looks. I truly believe this is the best Gonzaga team I have ever seen. There was a ton of off-season hype, but they are playing up to it. Sabonis’s international experience effectively sheds his freshman label, Wiltjer is literally a champion, and Pangos (by all accounts) is healthy this year.Hampton Strength: Guard play Weakness: Post scoringCredit the Hampton Pirates for a very strong performance in the MEAC Championship game. This team has terrific guard play, a trio that scored in the teens and twenties apiece versus Delaware State. Hampton double-teamed the post and stud center Kendall Gray. Gray was kept to just 6 points and fouled out as the Pirates were relentless to the rim. They don’t score a ton from inside, but that’s okay. They turned the ball over only 7 times and registered 13 assists in a relatively low scoring win before the free throw shooting contest began. I just looked up the stats. Hampton is inside the nation’s top 50 in rebounds but outside the top 300 in assists. I guess that’s what happens when a team’s guards can all score. Also take into account that both Hampton and Delaware State finish the season with records around .500. Despite this fact, I think Hampton will compete in the first half of a first round game. 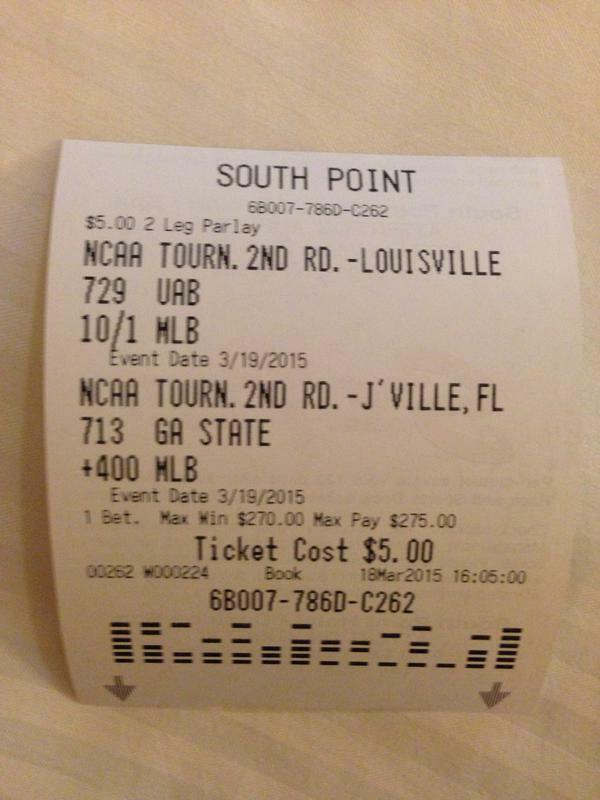 I like Gonzaga as the best value pick to win a championship at this point. Turn on ESPN or any other mainstream analysis. Talk to me on April 1st. I don’t believe this team likes to run the court, I think they like to score on easy buckets. There were instances when Cincinnati beat them in transition which were a red flag. West Virginia is the worst-possible matchup for Kentucky of 4, 5 seeds remaining and Wichita State would be a nightmare for them as a 7 seed. I agree with those who say that Kentucky has a better chance of losing during this weekend versus the Final Four weekend. I ragged on this team for missing a bunch of buckets at home at the Yum Brands center mid-season while it investigated whether its own rims were tight. I called out Montrezl Harrell for getting bullied against Willie Callie-Stein. Much respect to this team for betting Northern Iowa and shutting me up in the process. UNI was one of the best 5 seeds in my recent memory and Louisville made them look like a CYO team. Unfortunately, and not surprisingly, this is a transitional year for Michigan State. Denzel Valentine and Travis Trice can get super hot from 3 at any point. However, I question when the Spartans do not feature senior stud Brandon Dawson late in games. A cast of youngsters like “Tum-tum” are carving a niche for themselves with ninja-like stealthiness. However, my face turns purple like Tom Izzo in a much-needed timeout when I try to brainstorm who on this team can go get a bucket at the rim. When they do get to the free throw line, Sparty is in last place in the Big 10 in free throw percentage. It hovered in the low 60’s for a percentage. Late this season, the answer has been Trice and Valentine from behind the line. Live by the three, die by the three. We shall see what happens. Holy crap, did Travis Trice deliver on much-needed scoring against UVA. Oklahoma’s guards need to have the defensive game of their lifetimes. Congrats on a Sweet 16 run, but it’s game over. Okay, so they’re not a 6 seed, but a 6 seeded Butler team almost out-scrapped them to a victory. I think Wichita State is scrappier and will win this match-up. Notre Dame has won seven in a row and is due for a loss. Coach Lon Krueger is the only coach in D1 history to lead five programs to NCAA tournaments. I think this is the best team he has ever had at Oklahoma. I’ve liked Spangler’s toughness for the past two seasons and know he gets the added janitorial services of TayShawn Taylor. As well as those big guys do the dirty work down low, they will rarely posterize players with above the rim athleticism. You’ve seen this liability at the rim on display in matchups this season against larger Wisconsin and Texas clubs. It could be their Achilles heal. Isaiah Cousins, Buddy Hield and Jordan Woodard could possibly be the most balanced back-court trio in America. Only teams like Wichita State, Gonzaga and Villanova come to mind for comparison-sake. Watching the Sooners, I don’t think of their identity as a transition scoring team. However, they quietly are 3rd in the nation in transition scoring! Oklahoma vs. Michigan State will be the best game of the Sweet 16 and also the best percentage chance of going to overtime. UCLA ranked 80th something overall in the nation in points scored, but outside of the top 200 in field goal percentage. What does that tell you? It tells me that they play little defense, play an up-tempo game and take a lot of three-point shots. This UCLA team also reminds me of many others. When you say “UCLA basketball,” names come to mind. Last year it was Kyle Anderson, Zach LaVine and Jordan Adams drafted round one of the NBA. Two years ago it was Shabazz Muhammad’s team, but other guys don’t come to mind. This year names like Kevon Looney, Norman Powell and Tony Parker jump off the page. But can this team play as a team? My eye test tells me there’s too much street basketball, one-on-one type of stuff for them to excel. Bryce Alford is an awesome point guard, not just a coach’s son, but he seems to be the only one committed to running an offense. Temple should still be in over this time. Good night, Bruins. 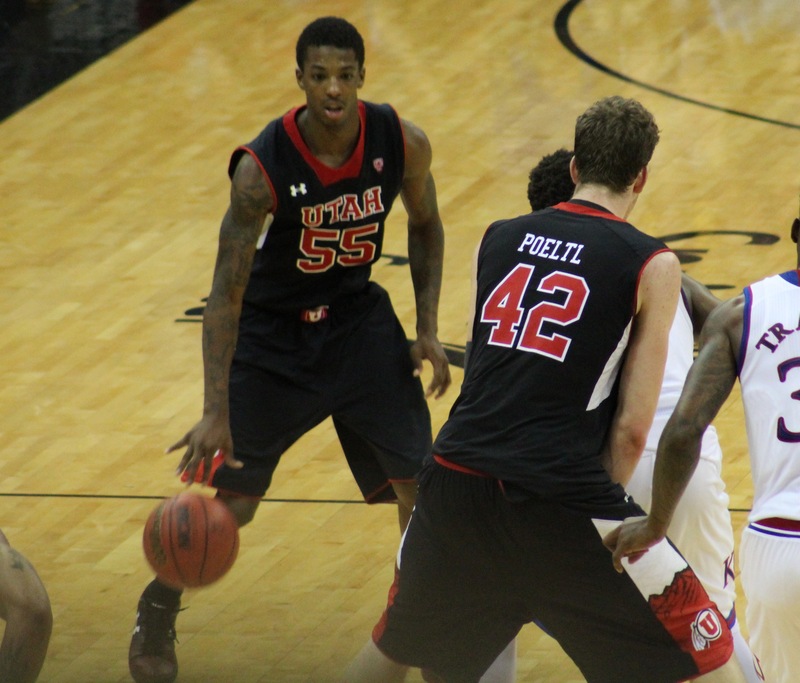 Utah point guard Delon Wright is the real deal. He is a scoring point guard who can create open jump shots with his penetration. You’ll hear plenty about him–I’m sure you already have. However, don’t wait for the Jakob Poeltl train to come rolling into the station. The Running Utes don’t plan on getting on board his low-post scoring anytime soon. For now, he is collecting put-back baskets. As the “Running Utes” nickname would suggest, Utah is just not the team to slow the game down and let its big dog eat. If Delon Wright scores 22 1/2 or more, Utah wins this game. We already know he’ll get 7 assists, 6 rebounds and 2 blocks. This game against Duke is one where he has to outscore shorter guards and disrupt the momentum of the Blue Devils in doing so. This is the Super Bowl for West Virginia. They’ve played the underdog card well up to this point. Let’s see if Juwan Staten can beat those Harrison boys on the outside. Oddly and sadly the story about Wichita State this week has become how coach Greg Marshall is a candidate for the Alabama vacancy. Don’t give the Shockers more reason to play angry. I’m putting Notre Dame on a major upset alert. 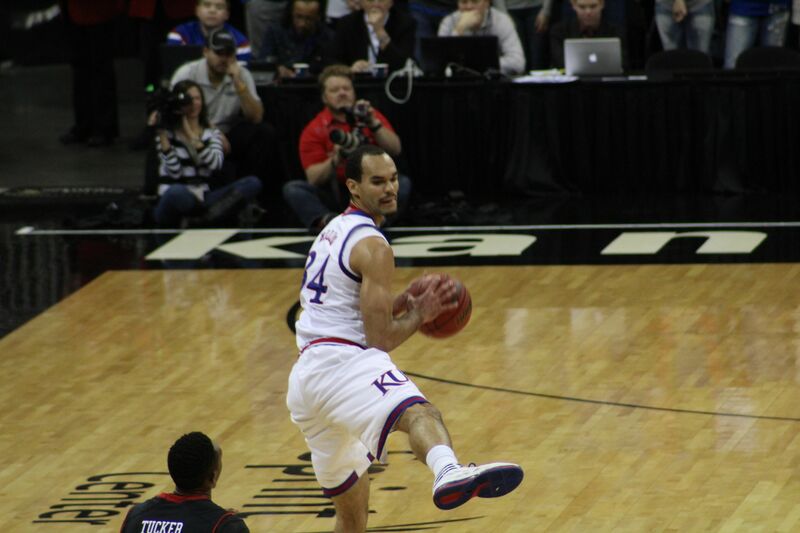 KU was cruising into its matchup against the Shockers before they stole their lunch money. Don’t think it can’t happen to Notre Dame. Wisconsin has shown me red flags that are difficult to put my finger on. That loss against Rutgers still bothers me. The fact that Jackson’s absence still hasn’t truly hurt them bothers me. And the way they gave up runs against Coastal Carolina bothers me. I see this team as a veteran club suspectible to a pesky sleeper still out-playing them. I don’t like their odds of beating two faster, bigger, more athletic clubs back-to-back in UNC and (potentially) Arizona. Given that Jalen Reynolds scored 21 points and grabbed 8 rebounds in the Georgia State win, I’d like to say “I called that.” I think his raw athleticism meets its match here against Arizona. Click here to read break kwon of all tournament teams.